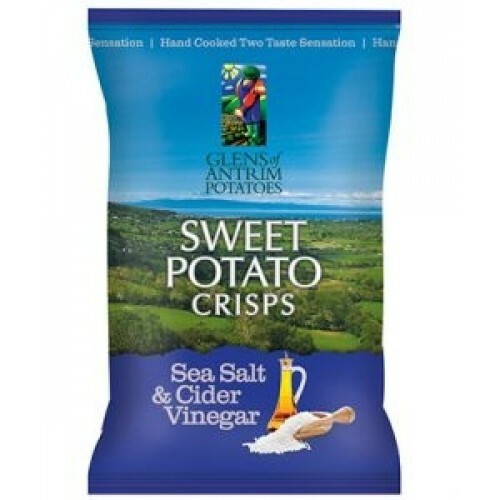 Glens of Antrim Sweet Potato Chips are premium sweet potato chips made from three varieties of sweet potato. They are hand cooked in sunflower oil with their skins left on, seasoned with a pinch of sea salt made in the UK, using Sweet Potatoes. Nothing else added. 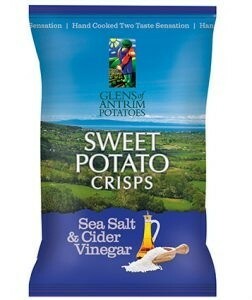 Allowing the delicious natural taste of the sweet potato burst into the mouth with a satisfying crunch. Not only do they taste great but look great too! Plus they're Gluten Free!